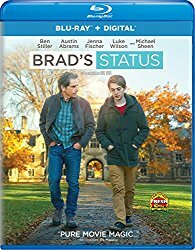 OVERVIEW: Ben Stiller (Meet the Parents franchise) stars as a middle-aged, middle-class dad, on his journey of self-discovery in the genuine and quirky comedy Brad's Status, coming to Digital on December 19, 2017 and Blu-ray™, DVD and On Demand on January 2, 2018, from Universal Pictures Home Entertainment. Plagued by feelings of inadequacy in comparison to his overly successful college friends, Brad begins to doubt his own life's choices and contributions, as his prodigy son explores the beginnings of his own. 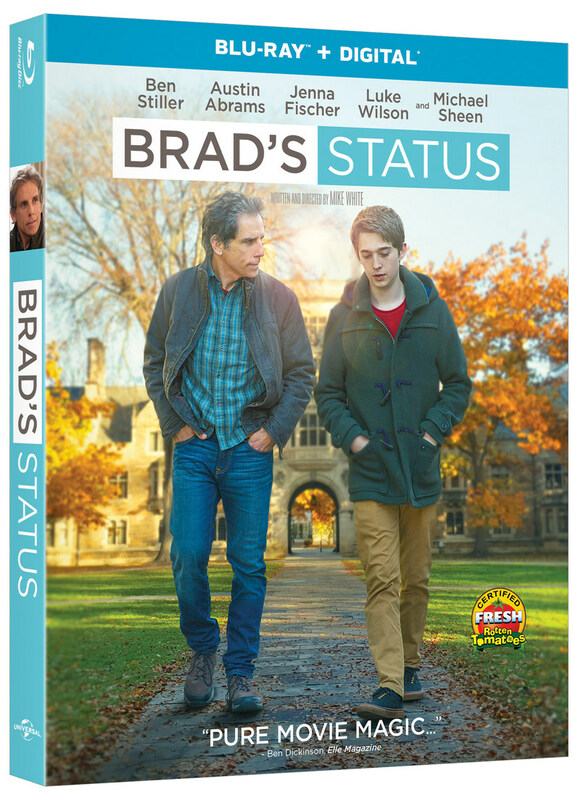 Brad's Status on Blu-rayTM, DVD and Digital comes packed with bonus features that include commentary from the film's stars and filmmakers as well as special behind-the-scenes footage. SYNOPSIS: Ben Stiller stars as Brad whose satisfying career, sweet wife and comfortable life in suburban Sacramento aren't quite what he imagined during his college glory days. When he accompanies his musical prodigy son on a university tour, he can't help comparing his life with those of his four best college friends who seemingly have more wealthy and glamorous lives. But when circumstances force him to reconnect with his former friends, Brad begins to question whether he has really failed or if their lives are actually more flawed than they appear. BLU-RAY: The film is presented in widescreen in a 2.00:1 aspect ration preserving its theatrical format. The picture is just flawless. Not only the picture looks great in this release, also the sound it is good, a 5.1 Master Audio in English that provides a good complement to the picture. It also includes English subtitles. A Look at Ben Stiller as Brad – Mike White and the cast talk about working with Ben Stiller and how he was able to channel Brad. A Culture of Comparing Ourselves – Mike White discusses the social pressures and behaviors that inspired the story. Mike White on Directing His Own Script – A look at why Mike White chose to direct his screenplay and how the cast benefited from the experience. The Story of Brad's Status – An overview of the major themes and inspirations of the film.